J.J. Abrams is now officially active on Twitter and for his first-ever tweet, he announced that Star Wars 9 has started filming while also talking about Carrie Fisher and shouting out Rian Johnson and George Lucas. 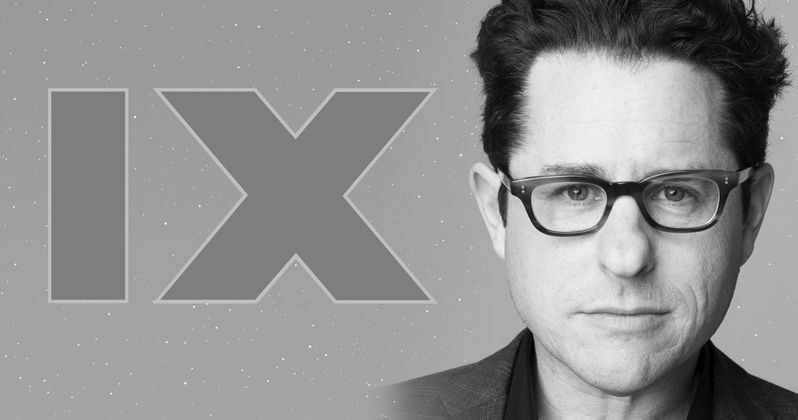 As most directors and celebrities are either deleting their Twitter accounts or trying to sanitize them, J.J. Abrams has decided to stick his toes in the social media pool for the first time. In addition to the kind words, Abrams also posted a picture from the set. It was announced last week that Star Wars 9 was going to begin shooting on this day and J.J. Abrams confirmed the news with his first time on Twitter. In the tweet, the director states that filming is bittersweet without Carrie Fisher, but reveals that the cast and crew are all ready for the challenge that lies ahead. Abrams also states that he and the cast and crew are lucky to be a part of the whole process. He had this to say. "Bittersweet starting this next chapter without Carrie, but thanks to an extraordinary cast and crew, we are ready to go. Grateful for @rianjohnson and special thanks to George Lucas for creating this incredible world and beginning a story of which we are lucky to be a part." As of this writing, J.J. Abrams has over 6,000 followers with each refresh of the screen adding dozens more. Social media has not been too kind to the entertainment industry over the past several weeks, so it's interesting to see Abrams join in on the fun now. Star Wars in particular has some very harsh critics on social media that unfortunately also boasts a considerable amount of trolls who have caused Kelly Marie Tran and Daisy Ridley to delete their social media accounts. Guardians of the Galaxy Vol. 3 director James Gunn was recently fired after some of his old tweets that contained terrible jokes were unearthed. Disney quickly fired Gunn and a massive debate has started about free speech as well as changing as a person over the years, which makes J.J. Abrams' first tweet so interesting. The tweet was only a few minutes old before the Star Wars 9 director was getting trashed by "fans" for mentioning The Last Jedi director Rian Johnson, so this will be a very interesting account to follow. Rian Johnson was one of the first people to react to J.J. Abrams' first tweet and showed his appreciation with an image of Han Solo saluting. Now that Abrams is active on Twitter, we'll hopefully get some regular updates about Star Wars 9 and the production process, much like Wonder Woman 1984 director Patty Jenkins has been doing as well as Ron Howard when he was making Solo: A Star Wars Story. You can check out the first-ever tweet below and a picture from the set of Star Wars 9 below, provided by J.J. Abrams' Twitter account.